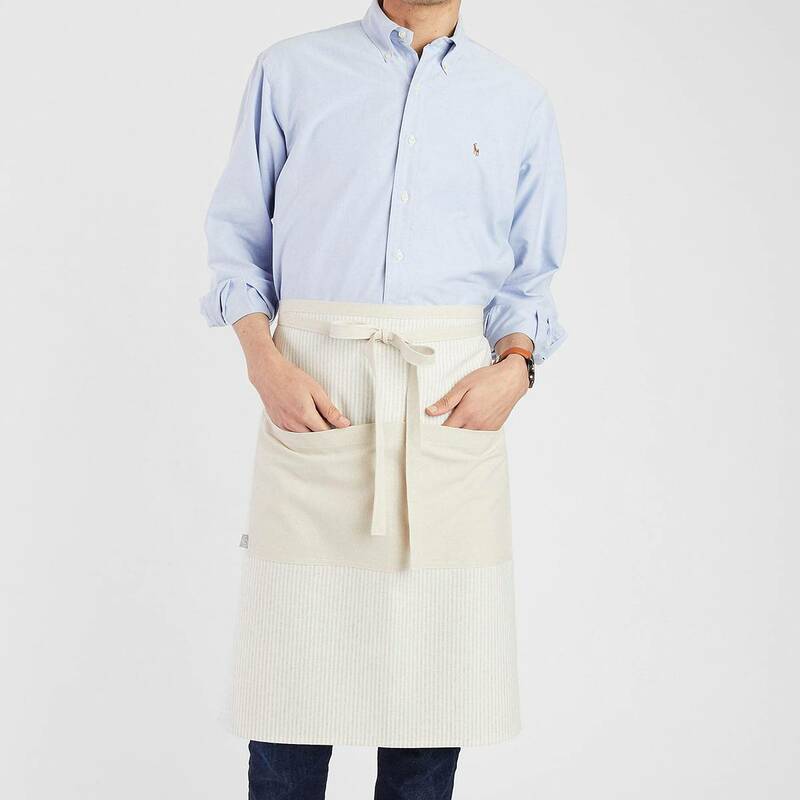 This Linen Bistro Apron was created to brighten and lighten any kitchen and server work space. Check out the fanciful textures and beautiful color selection. This apron is 55% linen and 45% cotton and will gently wrinkle and soften over time. It has a convenient double lap pocket and same fabric waist ties. Suitable for servers, chefs and kitchen staff. No minimum order required.